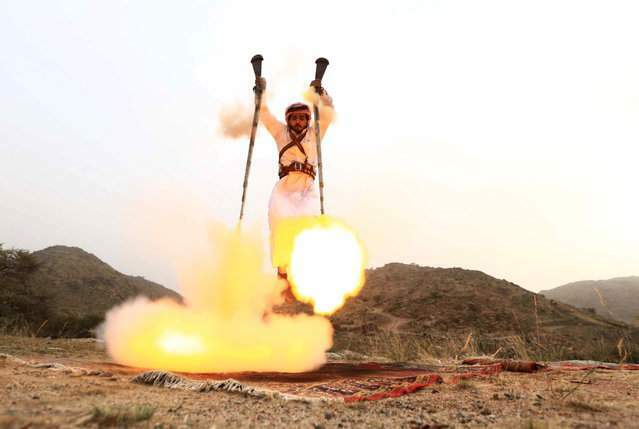 Saudi people usually meet, celebrate the wedding or graduation ceremony will have a very special traditional dance is fire weapons dance - dance dance. 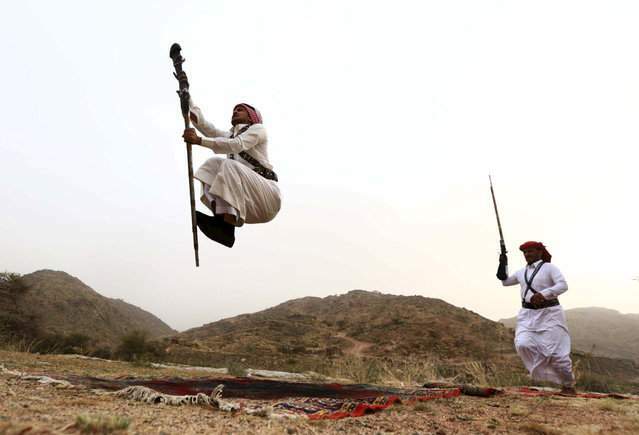 This is a man in the western Saudi city near the city of Taifu. 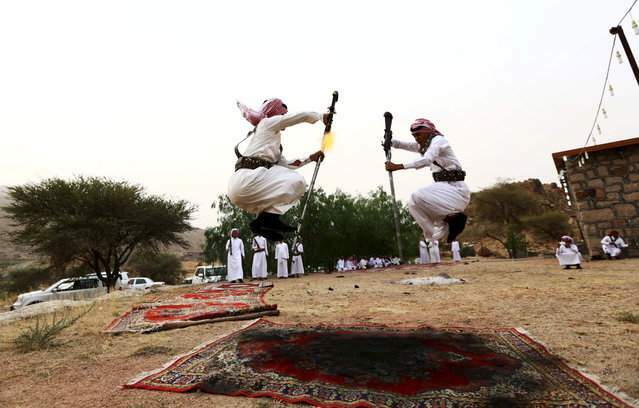 In the western city of Saudi Arabia near the performance of Taifu. The man's hands shot, the difficulty is very big. 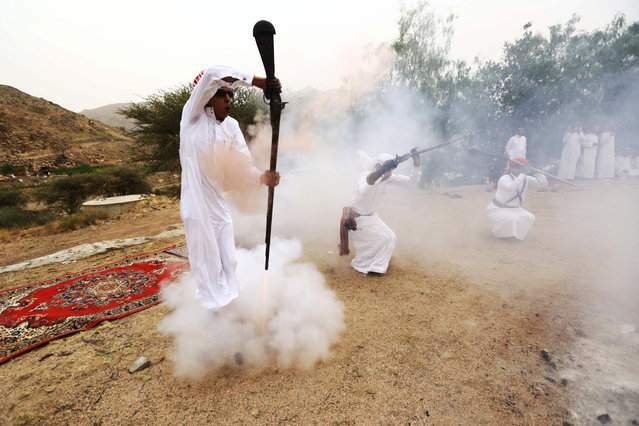 Do not imitate, but fortunately we have a wooden gun. 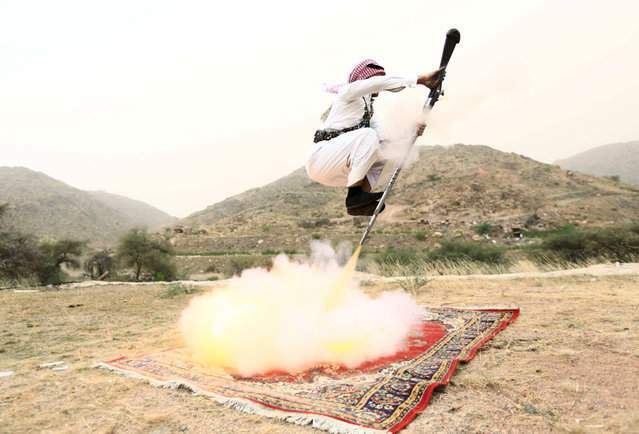 While the side of the launch side jump, in fact, there is considerable difficulty and danger. A boy holding a gun.